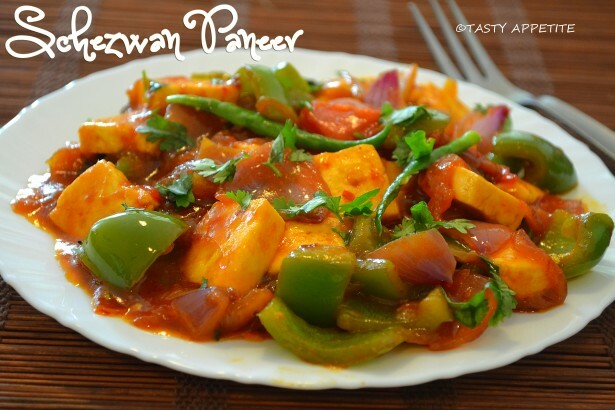 Here comes the lovely dish Schezwan Chilly Panner to go along with fried rice and noodles. 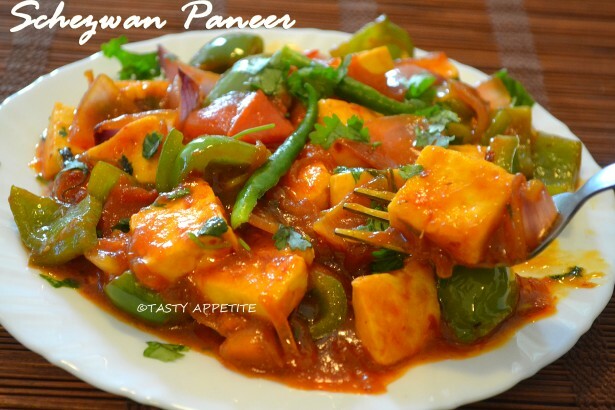 It’s an Indo-chinese recipe that is prepared with schezwan sauce, a very flavorful, hot and spicy sauce. 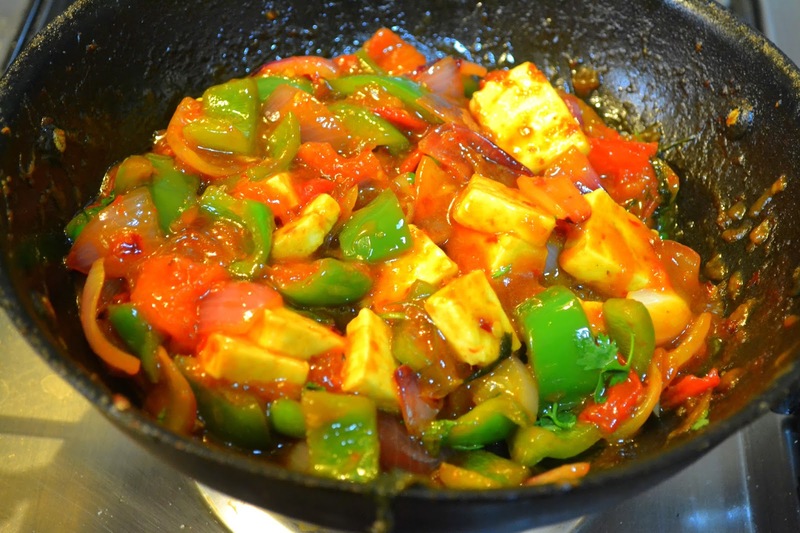 I prepare schezwan sauce at home and keep it in air-tight glass jar in fridge so it becomes easy beezy to prepare schezwan dishes like schezwan paneer, schezwan tofu, schezwan potato, schezwan fried rice, etc quickly. (Check out the homemade schezwan sauce here. 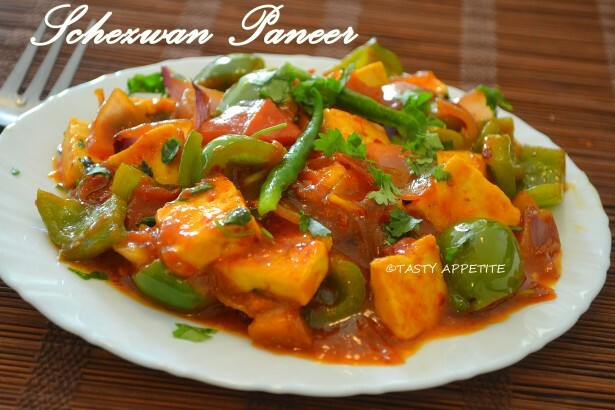 )Enjoy the Schezwan chilly paneer at your home today with this delicious recipe..! 1. 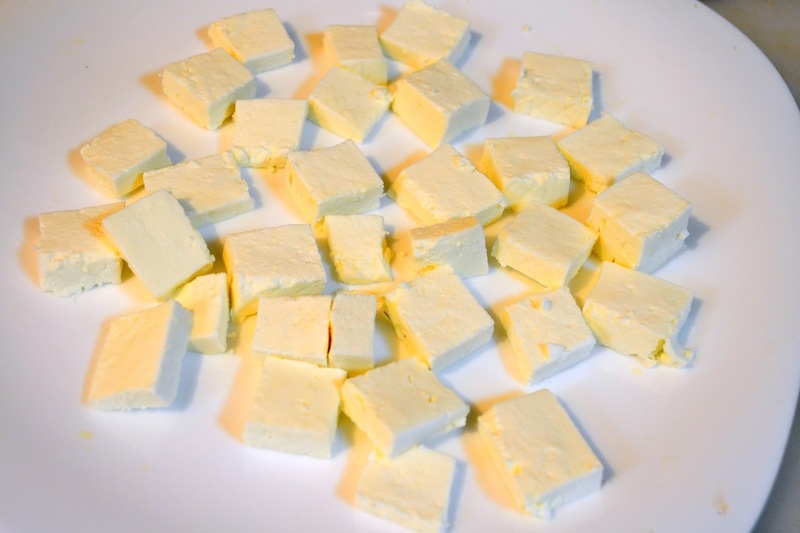 Wash and slice paneer to fine cubes. 2. Slice onion, tomato, bell pepper and coriander leaves. 3. 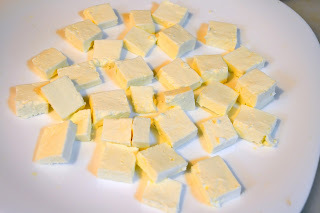 Make a paste of corn flour and water and keep it ready. 4. Heat 1 tbsp of oil in a frypan. 5. Add the paneer slices and shallow fry until golden brown. 6. Once done keep it aside. 8. Add sliced onions, capsicum and tomato. 9. Fry in high flame for a minute. 10. Add ginger garlic paste, salt and saute further. 11. Add soya sauce and schezwan sauce. 16. Give a quick stir. 18. Garnish with finely chopped fresh coriander leaves. 19. Also you can sprinkle chopped spring onion greens. 20. 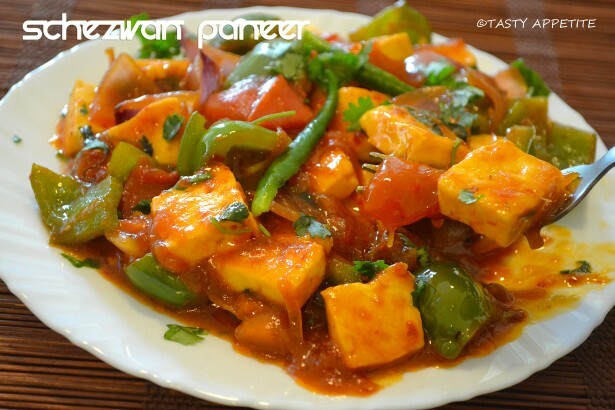 Lipsmacking Schezwan paneer is ready. 21. Serve hot with noodles, fried rice or with any Indian breads. Made this today and it's absolutely delicious! Thanks for the recipe.